Hi! Popping in with a quick post from Austin, TX, today was the final day of Vida Vegan Con and I have tons of photos and info to sort through and have been having too much fun here to do so. We just got back from the final after party where we had kale margaritas at Cheer Up Charlies and vegan bac’n cheeze burgers at Arlo’s. All of the rich eating has been fun, but I am looking forward to getting back to salads and smoothies! Austin has been great, much more vegan friendly than I expected, people are nice, and the weather turned out to be fine. When we arrived Thursday evening, we were drained from traveling and navigating to the hotel in a rental car, the roads in Austin are wacky! We opted for a restaurant in walking distance from the hotel and lucked out when I found the Clay Pit on OpenTable just a block away. 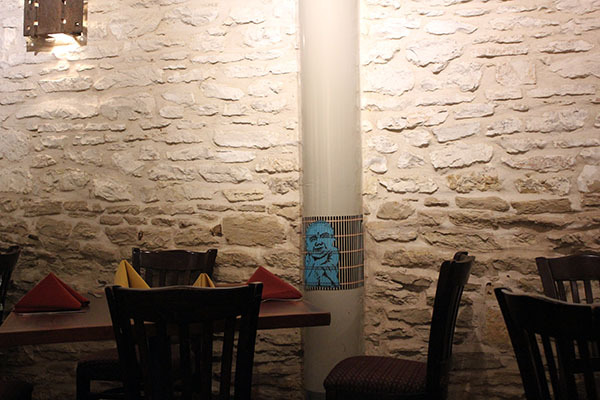 It’s located in a 140-year-old building with a rich history that’s possibly haunted. I really loved the inside with clean, but historic elements from the exposed brick walls, antique light fixtures, and wood ceiling. The basement is really fascinating with low ceilings, I had to duck under the beams. 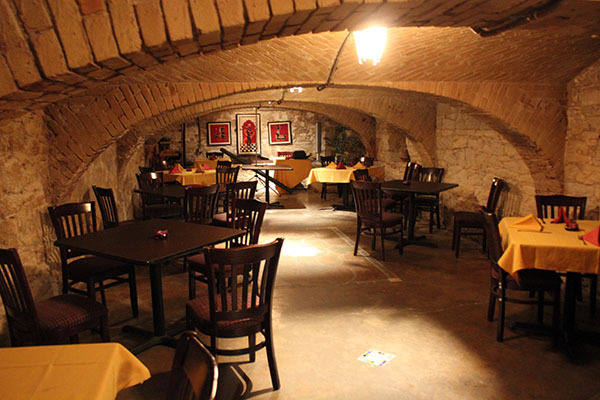 They typically open this area for dining just a few times a week since it’s a huge restaurant. The owner saw me looking down the dark, stone stairway to the basement and invited us to check it and gave us the history of the basement and the brothel tunnels that used to be connected to it. Then took us upstairs to see the old rooms and talked about the family that lived there, such a fun experience for our first night in Austin. 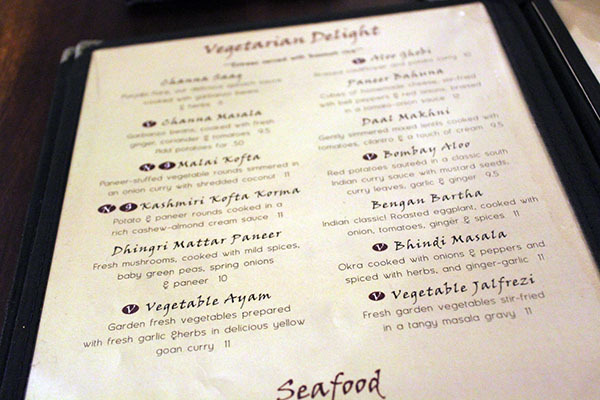 The menu is wonderful with plentiful clearly marked vegan items. 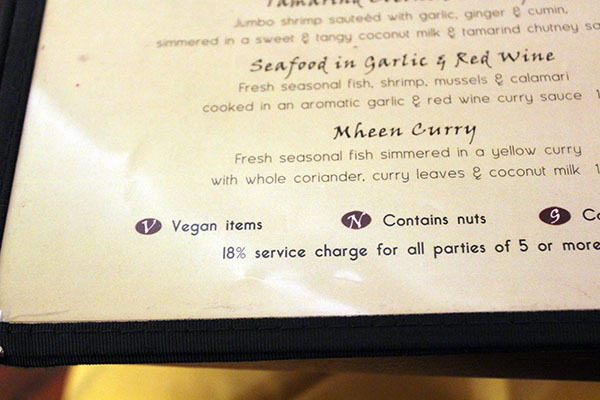 And the waiter was very knowledgeable on what could be easily veganized in addition to the vegan items already offered. 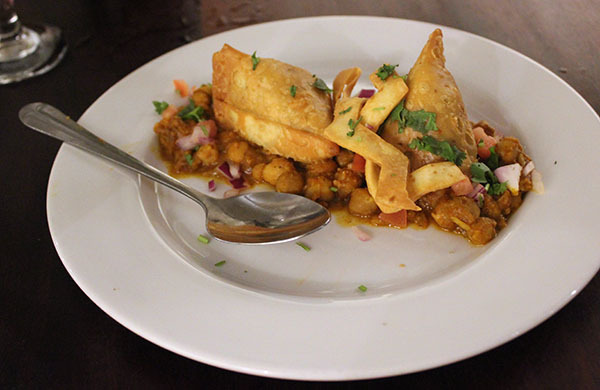 We started with the vegetable samosas on a bed of seasoned spicy chickpeas. They disappeared fast, hubby and I fought over who could finish the chickpeas, I won. 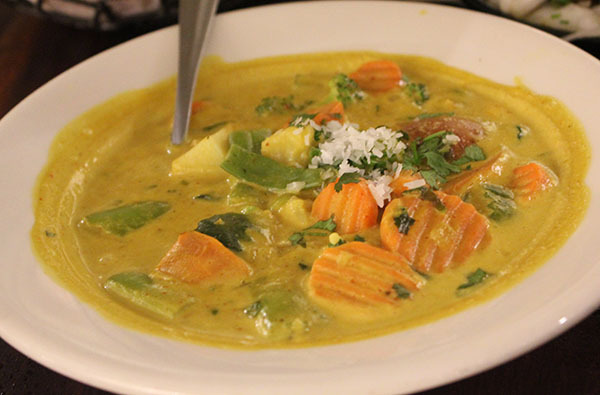 I got the Vegetable Ayam, a wonderful veggie loaded curry dish topped with coconut – no, it’s not cheese! 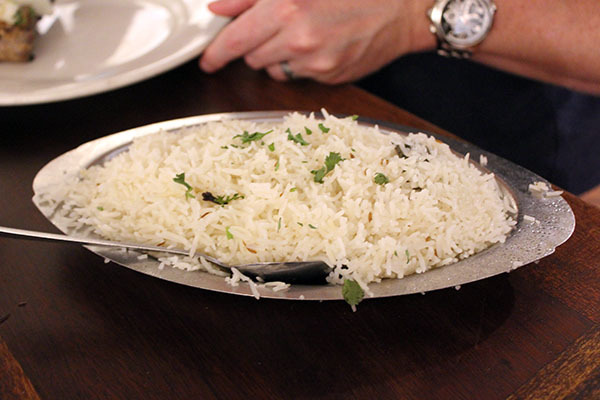 We also got a lovely communal rice dish for our meals and vegan Roti flat bread to pair with the curry sauce. 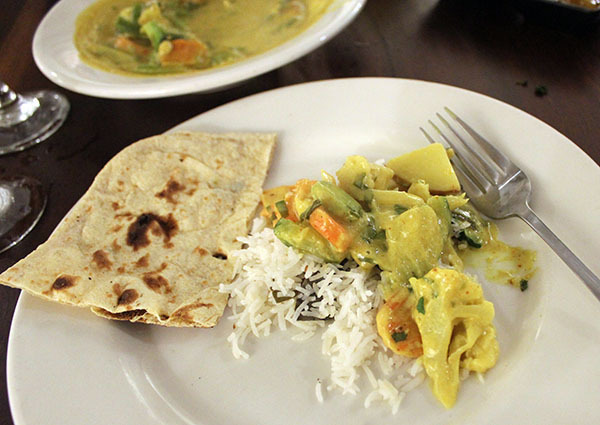 There was plenty of curry sauce for the bread and rice as well and it was an amazingly filling meal. 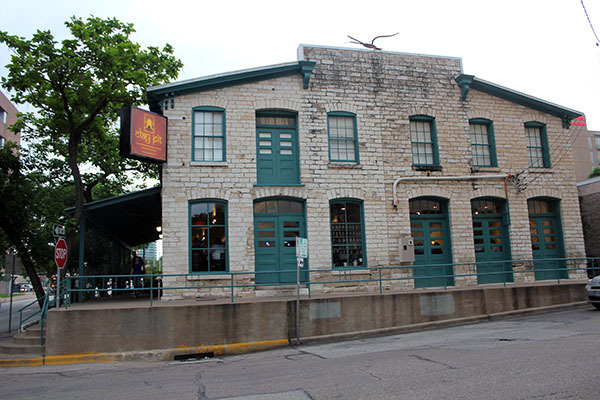 And a great place to get a feel for local Austin since we were there late in the evening. We head back to reality tomorrow and I will have a lot more great stuff to write about this trip and other eats. Hope everyone had a great weekend! 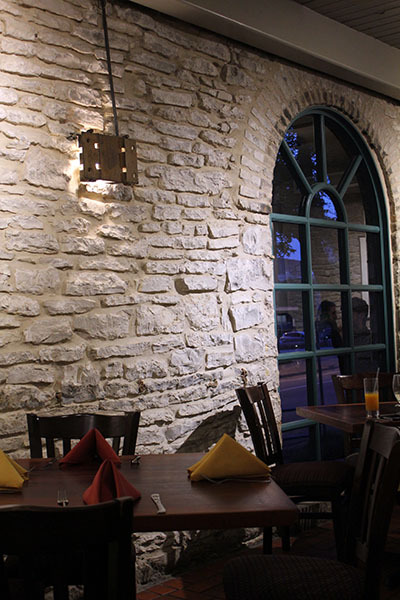 It was such a lovely place to introduce us to Austin. And great to meet you too, so glad you could make it to VVC! Awesome looking place and lots if vegan eats wish I was there! It was, I loved the history and vibe of the building.